Home Doctors Jacob Montgomery, Jr.
Dr. Montgomery has been practicing ophthalmology since 1999 and is a board-certified ophthalmologist. He specializes in surgical and comprehensive ophthalmology, including advanced cataract surgery, diabetic lasers, and anterior segment surgery. His LASIK experience dates back to 2002. His clinical interests and responsibilities include advanced cataract surgery using femtosecond laser and lifestyle lenses, refractive surgery, LASIK and PRK, corneal transplantation and external diseases of the eye. Dr. Montgomery enjoys surgical privileges and is the co-medical director at The Surgery and Laser Center Professional Park, a state-of-the-art Ophthalmic Microsurgery Surgery Center. He also has surgical privileges at the Surgery Center at Pelham. Dr. Montgomery continues to serve as a consulting physician for Greenville Health System and Newberry County Memorial Hospital. Dr. Montgomery attended Clemson University and received his medical degree from the Medical University of South Carolina (MUSC). He completed his residency in ophthalmology at Eastern Virginia Medical School, located in Norfolk, Virginia. 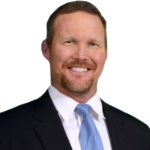 He is the co-managing partner of Montgomery & Riddle Eyecare which is a comprehensive eye care practice serving the Upstate of South Carolina with offices located in Clinton, Newberry, Greenville as well as satellite offices in Saluda and Walhalla. Dr. Montgomery offers clinical and surgical treatments in a variety of specialties including bladeless cataract surgery, corneal transplants, LASIK, PRK, and advanced glaucoma treatment. He was the first or among the first in the Upstate to perform/utilize the following technology: ABiC, iStent, Corneal Cross-linking, ECP, Express Shunt, Symfony IOL, Lipiflow, MLT, SLT, and Prokera. Dr. Montgomery is a board-certified member of the American Academy of Ophthalmology. He is also a member of the South Carolina Society of Ophthalmology and the American Society of Cataract and Refractive Surgery. Dr. Montgomery is on the speaker’s bureau for leading ophthalmic and pharmaceutical companies with a focus on cataract, cornea and refractive surgery. Dr. Montgomery enjoys spending time with his wife and four children. In his free time, his interests include college football, martial arts, hunting, and Bible study.